Jätkäsaari is an up and coming area of Helsinki with excellent transportation connections to both central Helsinki and Espoo. Positioned to take advantage of all the business hubs in both cities HUONE Jätkäsaari is easily reachable by car, metro (Ruoholahti) and tram. Our first location and start of our journey to transform your meetings and functions. 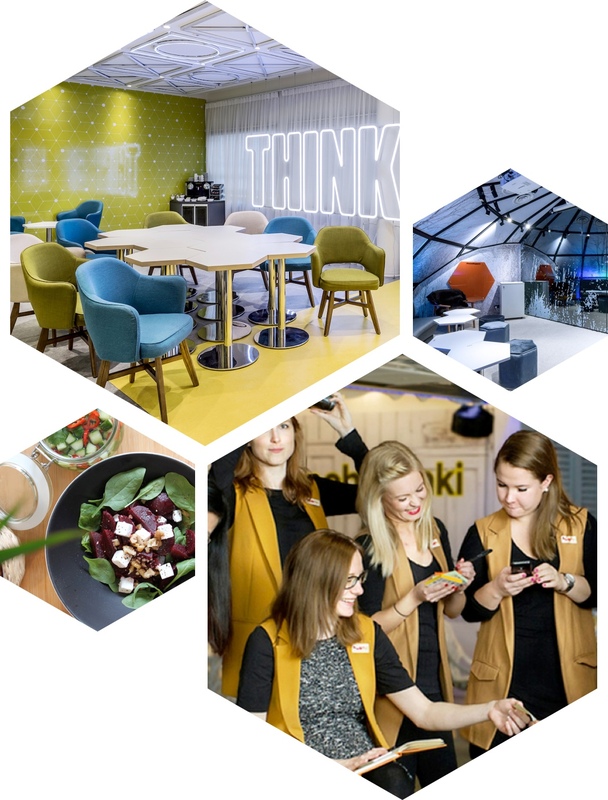 HUONE Jätkäsaari is the epitome of our philosophy to provide a full-service venue for all your business needs. Awesome concept to arrange business meetings and parties - not just the space but the whole thing. Let HUONE arrange the perfect event fo you. HUONE Singapore is in the center of Asian commerce, this city-state offers great connections, opportunities, and of course one of HUONE’s premier venues for all your meeting and conference needs.